The Khan Academy is one of the best free learning tools available on any platform and now it’s available for Windows RT. Watch any of thousands of videos on a variety of topics, including physics, chemistry, finance, or history. 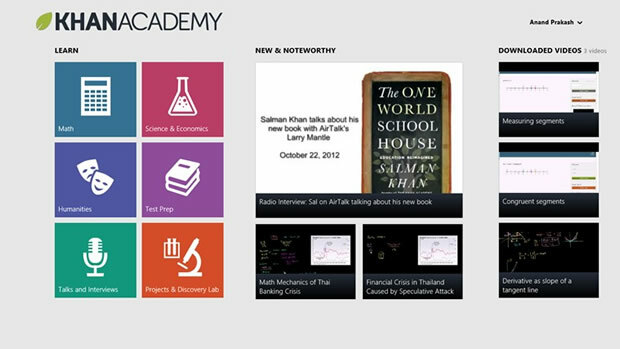 The Khan Academy is certainly a nice alternative to gaming on your Windows RT Tablet. This is definitely a must have app. Microsoft OneNote is your digital notebook for keeping track of what’s important in your life. Jot down your ideas, keep track of classroom and meeting notes, clip from the web, make a to-do list as well as draw and sketch your ideas. 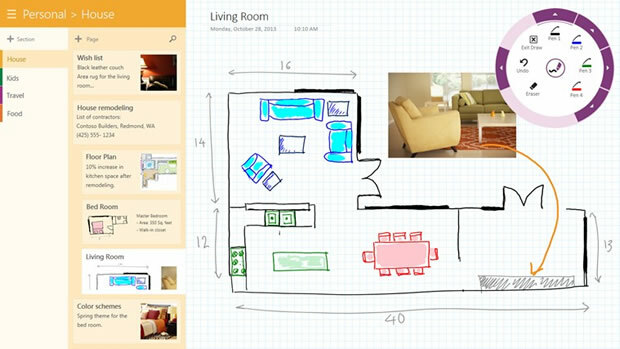 OneNote is your one place to capture and organize everything. 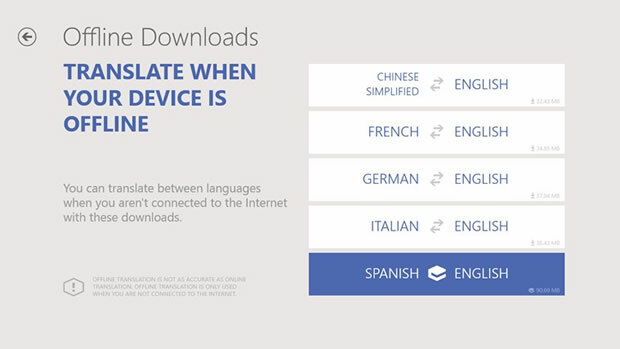 Bing Translator: is a nice tool for translating text to and from several languages. It even includes and option to photograph text and then translate it. Unlike some translation apps, Bing Translator will continue to work even when you are not online. While I prefer Google Translate, this app from Bing does and pretty good job. Adobe Photoshop Express is the very light version of the worlds most popular photo editing app. 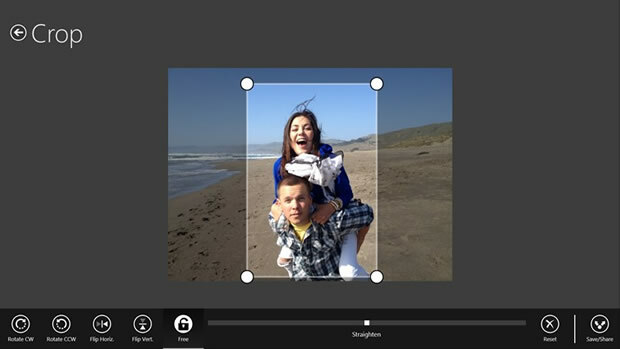 Perform many basic photo edits including crop, straighten, and rotate. You can remove red eye as well. If you are really feeling lucky, you can use it’s auto-fix feature. While this express version offers only a fraction of the functionally of including in the full version of Adobe Photoshop, it’s free and it works. Not a fan of Abobe Photoshop Express? Try Fotor instead. 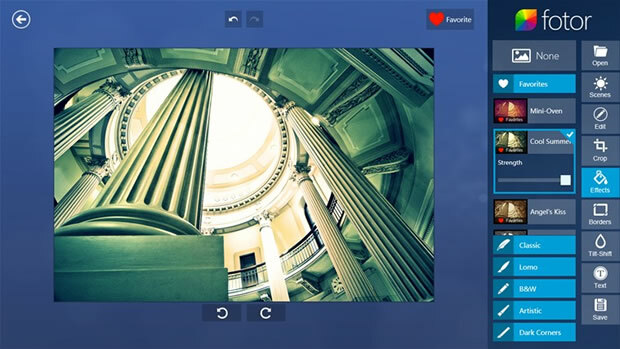 Perfectly combine the windows 8 user experience with cutting-edge tools including Basic Editing Tools, Brilliant Visual Effects, Frames, 1-Tap Enhance, Collage, Text, Tilt Shift and Raw Converter, all bundled together in one powerful package! 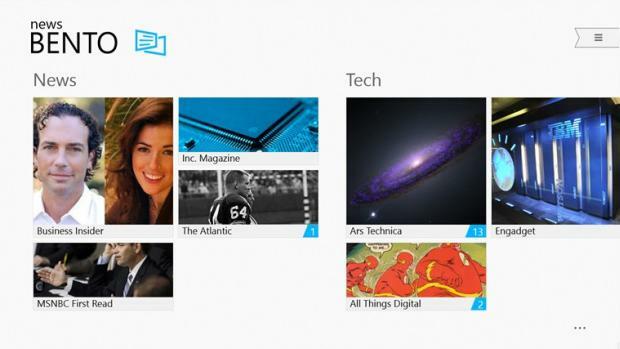 News Bento is the most fluid and beautiful news reader on Windows Tablets. This app is optimized for Windows RT devices and provides full interact with touch, keyboard, and mouse. News Bento has been recommended by Forbes, CNET, TechRadar and (now) Windows Tablet Review!